Another utterly brilliant Single Cask bottling from Plantation. This rum is produced in the traditional Agricole style, using the fermented juice of the sugar cane, rather than molasses or other sugar byproducts. What’s most interesting is this rum’s provenance, produced not in South America or the Caribbean, but on the island of Réunion, found in the Indian Ocean. 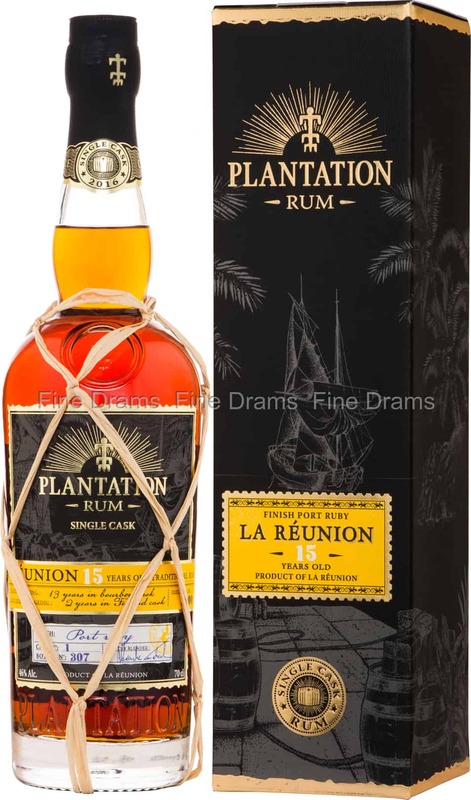 The rum is 15 years old (a considerable age for a rum), having been matured for 13 years in former Bourbon barrels, and then finished for 2 years in Ruby Port casks. The result is a sweet, sumptuous and subtle rum, packed with flavours of jammy red fruit, bananas, coconut, pineapples, mangos, toffee, chocolate, milky coffee, lime rind, oak and clear honey. Bottled at 46% ABV, this is a beauty, with the sweetness of the Port complimenting the rum’s flavours perfectly.